Spain’s top criminal court has decided to hear a case brought by Tibetan rights activists who allege that China’s former President Hu Jintao committed genocide in Tibet. Judges ruled that they were competent to handle the case because one of the activists, Tibetan monk Thubten Wangchen, is a Spanish citizen. Hu Jintao was the Communist Party leader in Tibet in 1988-1992, when Chinese troops quelled mass protests. China imposed martial law in Tibet. The remote mountainous territory is an autonomous region ruled by Beijing. 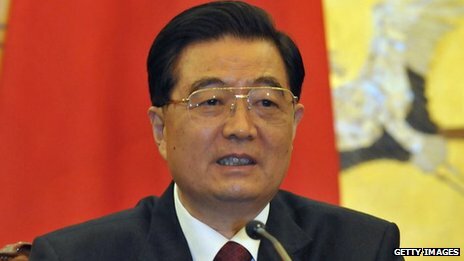 In their lawsuit against Hu Jintao the Madrid-based Tibetan Support Committee allege that as Communist leader in the region he was ultimately responsible for actions “aimed at eliminating the uniqueness and existence of Tibet as a country, imposing martial law, carrying out forced deportations, mass sterilisation campaigns, torture of dissidents”. The Spanish legal system recognises the universal justice principle, under which genocide suspects can be put on trial outside their home country. But for Spain to hold the trial there is a requirement that at least one victim of alleged genocide must be a Spanish citizen. Beijing claims a centuries-old sovereignty over Tibet, but many Tibetans remain loyal to the exiled Buddhist spiritual leader, the Dalai Lama. He is seen by his followers as a living god, but by China as a separatist threat. Genocide, the gravest crime against humanity, is understood to mean actions aimed at the mass extermination of a whole group of people.